I nervously looked to my right at my friend Holly Beck, a pro surfer with a penchant for adrenaline-pumping adventure. 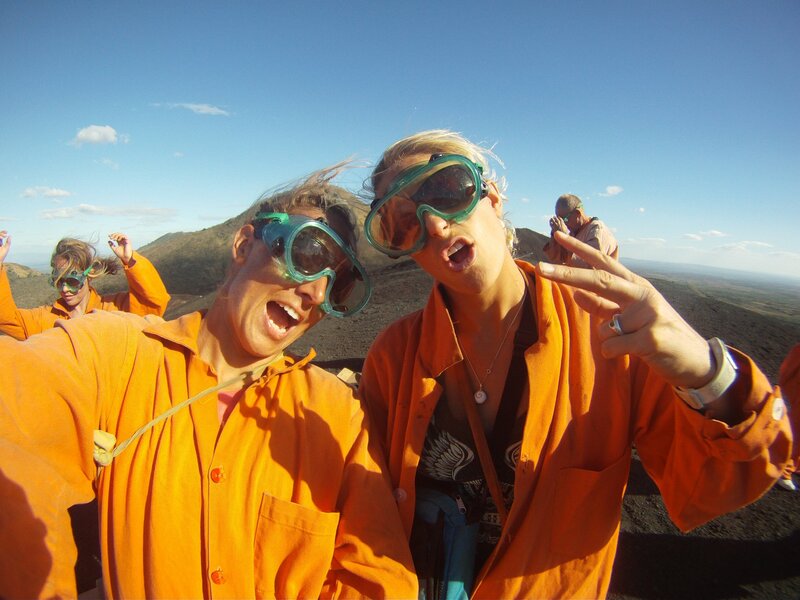 Smiling from ear to ear, Holly put up her arm, threw the rest of the group a shaka, yelled out “Woo Hoo” and pushed over the edge of the volcano. Not wanting to be left behind, I nudged myself over the edge as well and began to pick up speed…fast. For more information about Holly and her surf retreats, check out www.surfwithhollybeck.com.